Volunteer project: Childhood education is a project which has been implemented in the area in partnership with local private and public pre-schools to build their capacity in supporting the children to access quality education. The main goal of the project is to help children to develop cognitively and socially, introduce them to the school setting, as well as prepare them for Primary school education. Through the childhood education program, children gain long-lasting academic and social skills that will benefit them throughout their lives. Based on the four components of the program (Orientation, Community service, Cultural exchange, Development/global education), volunteers in this project will participate in a number of activities leading to understanding of childhood education and development. These will be related to academic and skills development, physical development, cognitive, social and language development. Study part: Various activities will be organized in the form of sport bonanzas, workshops, discussions, debates and study tours to involve community members like children, parents, teachers, youth and senior citizens. This will be a great opportunity to share experience and knowledge, and contribute to children’s educational development. Special requirements: No special or particular expertise/skills required, however a potential participant for this project should be the one who enjoys to work with children, is friendly, flexible, open minded and has the ability to work under less supervision and limited resources. Orientation: Introduction and orientation seminar will take place in Dar es Salaam before moving to the project. Duration of the project: Volunteers can be accepted for a minimum time of 4 weeks and a maximum of 3 months. The project starts on the first Thursday of the month and ends on Saturday of the last week. 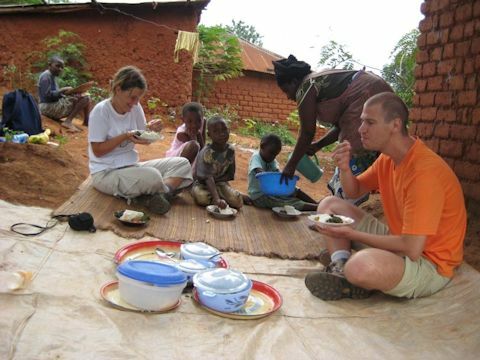 Accommodation: Volunteers are expected to be hosted in local host families within the community. However depending on the availability of families, in some cases participants will be sharing accommodation in a community residential house. In the case of dorm living, rooms will be shared by 3-5 volunteers. Free time: Possibilities include night walk to watch bush babies, meeting a large population of monkeys in the morning and afternoons, bird watching among others. During weekends, there is a good number of excursion options including visiting Kilwa Masoko and Bagamoyo historical sites (UNESCO’s World Heritage Site); National and Village museums in Dar Es Salaam, Cultural tour in Dar Es Salaam which will include Fish Market, Kariakoo Market, sightseeing and beach/swimming. There is also a possibility for two days and one day Safari to Mikumi National Park as well as an overnight stay in Zanzibar. Location: Mbande, Temeke. The project is located in the outskirts of Dar es Salaam, a community which still maintains its natural beauty. Terminal: Dar es Salaam. Airport pickup and local transport to the project site is provided. Volunteer project: This project is organised in partnership with a community based public school in Msongola. 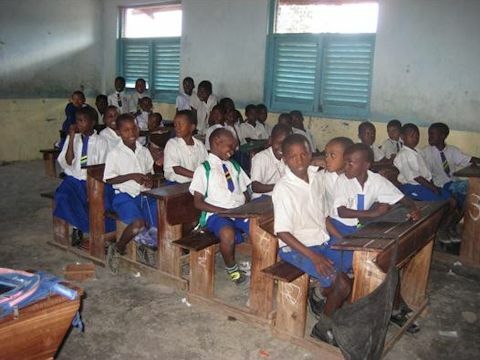 English language is an official language of instruction in all secondary schools across Tanzania. However, students begin using English as a language of instruction in all subjects when they enter Form 1 at the age of 13-14. This has been experienced as one of the challenges in academic development. This project is aiming to develop and improve speaking, writing, and reading English language skills among the students so that they can manage their studies. Based on the four components of the program (Orientation, Community service, Cultural exchange, Development/global education), volunteers in this project will be assisting academic staff in teaching English as well as remedial classes. Depending on the participants’ skills, there is a possibility of organizing debates, discussions, extra-curricular activities as well as cultural activities to help improve students' English language skills. In some cases during the program including school holidays classes might be organized at a local youth center. Special requirements: English language and teaching skills are essential. Potential participants should be those who enjoy working with teenagers, are friendly, flexible, open minded and having the ability to work under less supervision and limited resources. Location: Msongola, Ilala. The project is located in the outskirts of Dar es Salaam, a community which still maintains its natural beauty. Volunteer project: This project is organised in partnership with a community based public school in Msongola. Performance of students seating for National examinations on Mathematics and Science subjects has not been good over the years in various community schools. One of the reasons is inadequate teaching among many other factors. This project is aiming to improve the students’ performance so that they can do their best on those subjects and shape their future. Based on the four components of the program (Orientation, Community service, Cultural exchange, Development/global education), volunteers in this project will be assisting academic staff in improving students’ performance in Math and Science subjects (Mathematics, Biology, Chemistry and Physics). This will include teaching assistance in the specified subjects. Depending on the creativity of the volunteers, interest and availability of resources, it’s quite possible to have additional activities with the students like sports, games, recreational and extra curricular activities. In some cases during the program, including school holidays, classes might be organized at a local youth center. Special requirements: English language, knowledge on the specified subjects and teaching skills are essential. Potential participants should be those who enjoy working with teenagers, are friendly, flexible, open minded and having the ability to work under less supervision and limited resources. Volunteer project: The project is organized in cooperation with a local youth center and various educational institutions in the Chamazi community to promote the reading culture. Reading has been one of the challenges hindering community members to access information useful for various social and economic developments. The project is therefore aiming to promote culture of reading in the community. Based on the four components of the program (Orientation, Community service, Cultural exchange, Development/global education), volunteers in this project will be promoting culture of reading in the community through organizing various activities like reading competitions, visits to the local schools, women and youth groups, etc. Participants are expected to provide basic training on how to use Information technologies to search for useful information related to their needs. Depending on the volunteers’ creativity, there is a possibility of using art and craft, sports and music to promote culture of reading. Special requirements: No special or particular expertise/skills required. However a potential participant for this project should be the one who enjoys outdoor activities, working with young people and reading, is interested in books and information, is creative, open minded, flexible and able to work under less supervision and limited resources. Location: Chamazi, Temeke. The project is located in the outskirts of Dar es Salaam, a community which still maintains its natural beauty. 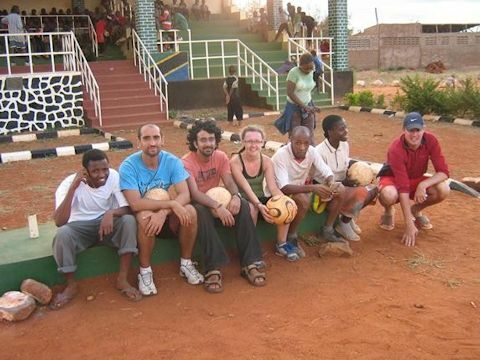 Volunteer project: The community has been hosting intercultural exchange programs over the last ten years. The project is aiming to expose its participants and local community to people from different cultural, religious, geographic and socio-economic backgrounds and in so doing provide the opportunity for all to develop a greater understanding of diversity. 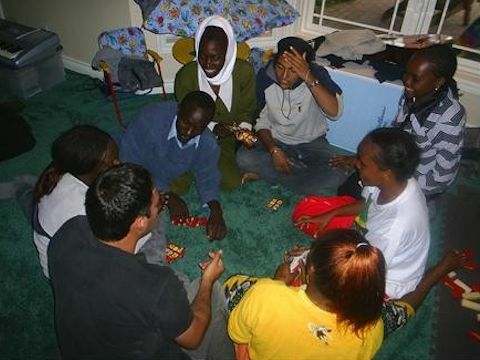 In the past the program has allowed its participants to learn from people who are different from themselves and integrate in new and unique experiences beyond their own communities. Cultural exchange assists everybody involved to develop positive relationships with others, understand a broader range of perspectives, and develop the knowledge and skills needed for participation in inevitable multicultural society. 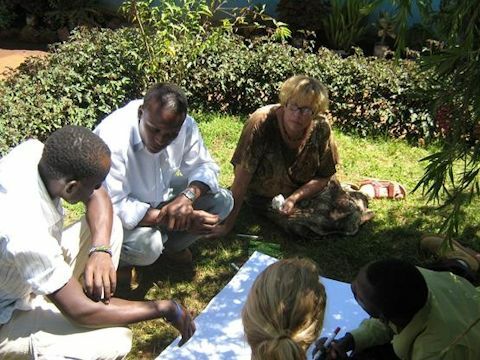 Based on the four components of the program (Orientation, Community service, Cultural exchange, Development/global education), volunteers in this project will participate in a number of activities leading to cultural exposure like Kiswahili Language and cooking classes, home stay, arts and craft, meeting senior citizens for story sharing about the past, visiting cultural sites and ritual sites. Special requirements: No special or particular expertise/skills required. However, a potential participant in this project should be the one who is open minded and independent, interested in culture, travel, asking questions and sharing views. It is perfect for people who want to learn new languages and culture. Location: Vigoa, Temeke. The project is located in the outskirts of Dar es Salaam, a community which still maintains its natural beauty. Volunteer project: The Adult education project provides an opportunity to young people and young adults out of school to learn various skills for their personal and professional growth. Over the years, the project has benefited young men and women and community members to develop language skills useful for their business and career development. Based on the four components of the program (Orientation, Community service, Cultural exchange, Development/global education), volunteers in this project will be helping to teach English to the young people and adults out of school, and sometimes to those in school who require extra support to master their English. Depending on the volunteers’ skills, it will be possible to organize debates, discussions, extra-curricular activities as well cultural activities to help improve the English speaking, reading and writing skills of local people. Special requirements: English language skills are essential, skills related to the outlined project activities will be very useful as well. Potential participants should enjoy working with people from various cultures, should be friendly, flexible, open-minded and able to work under less supervision and limited resources. Volunteer project: This project is aiming to provide opportunity for children and young people in the surrounding communities to gain various skills and to become aware of development issues affecting them. The project sees sports as an ideal mechanism to engage children and youth. In this project, sport is defined as traditional games, soccer, basketball, volleyball, dance, etc. Sport is an enabler and time occupier for otherwise idle young people, and it also provides extra activities for children after school hours to develop physically. The project uses the value of sports as a vehicle for leadership, development, empowerment, equalizing gender inequalities, improving educational success, enhancing economic opportunities, and social inclusion of marginalized groups such as girls, disabled persons and youth. These values include team work, respect, decision making, volunteerism, integrity, self-esteem, conflict management, and communication skills as vital life skills. Based on the four components of the program (Orientation, Community service, Cultural exchange, Development/global education), volunteers in this project will be helping in organizing and teaching various sports, games, songs and dances to groups of children and young people. Other activities will include organizing various workshops and youth activities using sports. Activities could be community cleaning, tree planting, sport bonanzas, awareness rising on various issues etc. Special requirements: No special or particular expertise/skills required. However, a potential volunteer in this project should be the one who enjoys to work with youth and children, who is friendly, flexible, open-minded and able to work under less supervision and limited resources. Volunteer project: Women’s empowerment program is designed to provide opportunity to the young and adult women around the community to gain skills useful in their development. This project reflects the sense that, women plays a key role in family and community development, so once empowered and given opportunities they can effect significant change in development. The focus of the projects is to develop necessary skills to enable women to unlock their potential and own their development process. Based on the four components of the program (Orientation, Community service, Cultural exchange, Development/global education), volunteers in this project will assist local women through teaching basic English language (speaking, reading and writing), skills sharing on arts and crafts, cooking and home management, health and sanitation, workshops on various women development issues in the community and globally. Additional activities could be organizing community women’s recreational activities, exposure and study tours. Special requirements: English language and teaching skills are essential. Potential participants should be those who enjoy working with teenagers, who are friendly, flexible, open-minded and able to work under less supervision and limited resources. Location: Magole, Temeke. The project is located in the outskirts of Dar es Salaam, a community which still maintains its natural beauty.